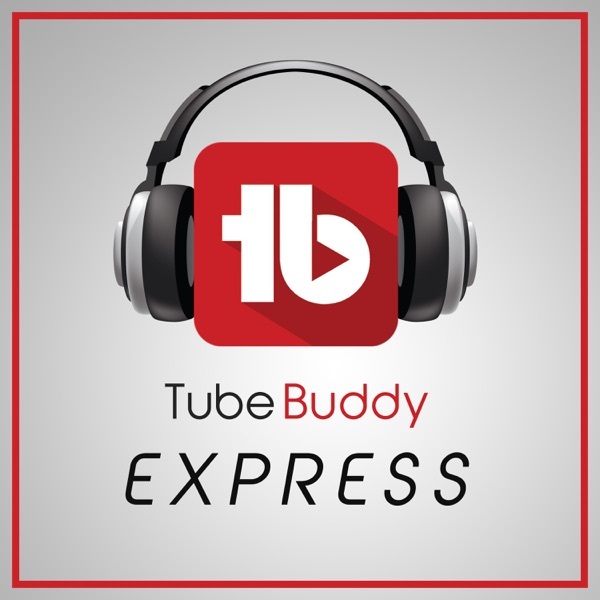 TubeBuddy Express: YouTube News and Discussion | Listen Free on Castbox. Dusty Porter shares his knowledge about all things YouTube and video content in general. He talks about different tips on how to utilize the TubeBuddy plugin to help you with your daily YouTube workflow. We talk about YouTube news and features as well as interview different video creators and how they are creating content that makes a difference. This show was inspired by creators like Pat Flynn, Jon Lee Dumas, Tony Robbins, Tim Ferris, and so many more! 139: Little Things You Can Do To Make A BIG Difference On Your YouTube Channel In this week's episode, I talk about 4 small things you can do to make a big difference in your content and your YouTube channel. To have your questions featured on one of the upcoming Q and A episodes, email me at dusty@dustyporter.com Try TubeBuddy Today Here For a full video tutorial on how to set up a Patreon Campaign go here. Check out our other podcast: Listen To The YouTube Creators Hub Podcast Here for great interviews each week with successful YouTube creators and strategies and tips they use to grow and monetize their video content on YouTube. TubeBuddy Express Giveaway Details: If you want to enter yourself in the giveaway for some TubBuddy swag don't forget to go on over to our iTunes Page for the podcast and leave us a review and then email us at tubebuddyshow@gmail.com Here is the equipment I recommend for Starting Out On YouTube On A Budget: Blue Yeti Microphone Logitech C920 Webcam OBS Streaming Software Listen To My Other Shows Here: YouTube Creators Hub — A podcast focused on helping you with your Online Video presence. Each week, I interview an online video creator and chat with them about their strategies and journey as it relates to growing their YouTube channel. 138: Dealing With Creator Burnout With Josh Zimmerman In this week's episode, I chat with Josh Zimmerman about creator burnout and what it means to just step back as a creator and know when to take a break. About Josh: Josh Zimmerman has worked with TV networks, production companies, digital multinational corporations, YouTube influencers, and traditional entertainment celebrities for fourteen years. His wide range of experience in traditional and digital entertainment ranges from production to rights and clearances to creator management. He founded JZ Management in June 2016, and now, in 2018, Josh launched Creator Coach™. Creator Coach™ is dedicated to helping support creators who are experiencing burnout. In addition to the excitement of seeing one’s creative work shared, being a creator can be an uncertain, complex, and overwhelming. It is enormously challenging when done without support. Creator Coach ™ has a primary mission to help creators navigate from Point A (where they are) to Point B (where they want to be). 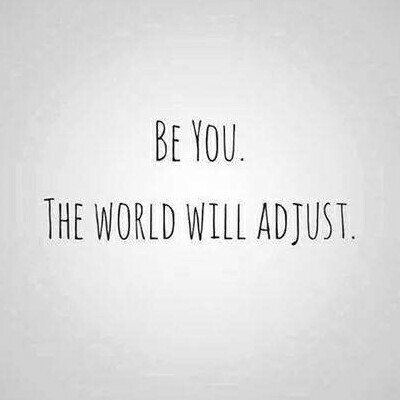 Josh helps creators achieve a higher level of well-being and performance, both creating content and in life. The goal of his coaching is to increase creativity, energy, happiness, and a clearer view of what the future can hold. Prior to founding JZ Management and Creator Coach™, Josh was the Director of Talent Partnerships for Ovation TV's Ovation Digital Arts, He worked on the Official Daily Show for YouTube, YouTube Nation, a joint venture between Jeffrey Katzenberg's DreamWorks Animation and YouTube. During his time at YouTube Nation, Josh amassed a Rolodex of connections to some of the biggest YouTube stars, major corporations, traditional celebrities, and multi-channel networks, developing close business relationships that enabled him to execute deals and promotions in record time. Connect With Josh: www.CreatorCoach.com To have your questions featured on one of the upcoming Q and A episodes, email me at dusty@dustyporter.com Try TubeBuddy Today Here For a full video tutorial on how to set up a Patreon Campaign go here. Check out our other podcast: Listen To The YouTube Creators Hub Podcast Here for great interviews each week with successful YouTube creators and strategies and tips they use to grow and monetize their video content on YouTube. TubeBuddy Express Giveaway Details: If you want to enter yourself in the giveaway for some TubBuddy swag don't forget to go on over to our iTunes Page for the podcast and leave us a review and then email us at tubebuddyshow@gmail.com Here is the equipment I recommend for Starting Out On YouTube On A Budget: Blue Yeti Microphone Logitech C920 Webcam OBS Streaming Software Listen To My Other Shows Here: YouTube Creators Hub — A podcast focused on helping you with your Online Video presence. Each week, I interview an online video creator and chat with them about their strategies and journey as it relates to growing their YouTube channel. 137: YouTube Growth Is Just Like A Snowball Rolling Down A Hill In this week's episode, I talk about how to grow a YouTube channel from the ground up, and I compare it to a snowball rolling down a hill. :) To have your questions featured on one of the upcoming Q and A episodes, email me at dusty@dustyporter.com Try TubeBuddy Today Here For a full video tutorial on how to set up a Patreon Campaign go here. Check out our other podcast: Listen To The YouTube Creators Hub Podcast Here for great interviews each week with successful YouTube creators and strategies and tips they use to grow and monetize their video content on YouTube. TubeBuddy Express Giveaway Details: If you want to enter yourself in the giveaway for some TubBuddy swag don't forget to go on over to our iTunes Page for the podcast and leave us a review and then email us at tubebuddyshow@gmail.com Here is the equipment I recommend for Starting Out On YouTube On A Budget: Blue Yeti Microphone Logitech C920 Webcam OBS Streaming Software Listen To My Other Shows Here: YouTube Creators Hub — A podcast focused on helping you with your Online Video presence. Each week, I interview an online video creator and chat with them about their strategies and journey as it relates to growing their YouTube channel. 136: How You Can Use Discord To Strengthen Your YouTube Community In this week's episode, I talk about how to utilize Discord to help strengthen your YouTube channel and form more intimate and trustworthy relationships with your community. To have your questions featured on one of the upcoming Q and A episodes, email me at dusty@dustyporter.com Try TubeBuddy Today Here For a full video tutorial on how to set up a Patreon Campaign go here. Check out our other podcast: Listen To The YouTube Creators Hub Podcast Here for great interviews each week with successful YouTube creators and strategies and tips they use to grow and monetize their video content on YouTube. TubeBuddy Express Giveaway Details: If you want to enter yourself in the giveaway for some TubBuddy swag don't forget to go on over to our iTunes Page for the podcast and leave us a review and then email us at tubebuddyshow@gmail.com Here is the equipment I recommend for Starting Out On YouTube On A Budget: Blue Yeti Microphone Logitech C920 Webcam OBS Streaming Software Listen To My Other Shows Here: YouTube Creators Hub — A podcast focused on helping you with your Online Video presence. Each week, I interview an online video creator and chat with them about their strategies and journey as it relates to growing their YouTube channel. 135: How To Optimize Your YouTube Channel For Mobile In this week's episode, I talk about how to optimize your YouTube channel for mobile devices/viewers. To have your questions featured on one of the upcoming Q and A episodes, email me at dusty@dustyporter.com Try TubeBuddy Today Here For a full video tutorial on how to set up a Patreon Campaign go here. Check out our other podcast: Listen To The YouTube Creators Hub Podcast Here for great interviews each week with successful YouTube creators and strategies and tips they use to grow and monetize their video content on YouTube. TubeBuddy Express Giveaway Details: If you want to enter yourself in the giveaway for some TubBuddy swag don't forget to go on over to our iTunes Page for the podcast and leave us a review and then email us at tubebuddyshow@gmail.com Here is the equipment I recommend for Starting Out On YouTube On A Budget: Blue Yeti Microphone Logitech C920 Webcam OBS Streaming Software Listen To My Other Shows Here: YouTube Creators Hub — A podcast focused on helping you with your Online Video presence. Each week, I interview an online video creator and chat with them about their strategies and journey as it relates to growing their YouTube channel. In this week's episode, I talk about how to use Twitter to grow your YouTube channel! To have your questions featured on one of the upcoming Q and A episodes, email me at dusty@dustyporter.com Try TubeBuddy Today Here For a full video tutorial on how to set up a Patreon Campaign go here. Check out our other podcast: Listen To The YouTube Creators Hub Podcast Here for great interviews each week with successful YouTube creators and strategies and tips they use to grow and monetize their video content on YouTube. TubeBuddy Express Giveaway Details: If you want to enter yourself in the giveaway for some TubBuddy swag don't forget to go on over to our iTunes Page for the podcast and leave us a review and then email us at tubebuddyshow@gmail.com Here is the equipment I recommend for Starting Out On YouTube On A Budget: Blue Yeti Microphone Logitech C920 Webcam OBS Streaming Software Listen To My Other Shows Here: YouTube Creators Hub — A podcast focused on helping you with your Online Video presence. Each week, I interview an online video creator and chat with them about their strategies and journey as it relates to growing their YouTube channel. 133: Should You Disable Comments On Your YouTube Videos In this week's episode, I talk about the thought of disabling comments on your videos and the pros and cons of doing so. To have your questions featured on one of the upcoming Q and A episodes, email me at dusty@dustyporter.com Try TubeBuddy Today Here For a full video tutorial on how to set up a Patreon Campaign go here. Check out our other podcast: Listen To The YouTube Creators Hub Podcast Here for great interviews each week with successful YouTube creators and strategies and tips they use to grow and monetize their video content on YouTube. TubeBuddy Express Giveaway Details: If you want to enter yourself in the giveaway for some TubBuddy swag don't forget to go on over to our iTunes Page for the podcast and leave us a review and then email us at tubebuddyshow@gmail.com Here is the equipment I recommend for Starting Out On YouTube On A Budget: Blue Yeti Microphone Logitech C920 Webcam OBS Streaming Software Listen To My Other Shows Here: YouTube Creators Hub — A podcast focused on helping you with your Online Video presence. Each week, I interview an online video creator and chat with them about their strategies and journey as it relates to growing their YouTube channel. In this week's episode, I talk about how to use hashtags to see better results on your videos. To have your questions featured on one of the upcoming Q and A episodes, email me at dusty@dustyporter.com Try TubeBuddy Today Here For a full video tutorial on how to set up a Patreon Campaign go here. Check out our other podcast: Listen To The YouTube Creators Hub Podcast Here for great interviews each week with successful YouTube creators and strategies and tips they use to grow and monetize their video content on YouTube. TubeBuddy Express Giveaway Details: If you want to enter yourself in the giveaway for some TubBuddy swag don't forget to go on over to our iTunes Page for the podcast and leave us a review and then email us at tubebuddyshow@gmail.com Here is the equipment I recommend for Starting Out On YouTube On A Budget: Blue Yeti Microphone Logitech C920 Webcam OBS Streaming Software Listen To My Other Shows Here: YouTube Creators Hub — A podcast focused on helping you with your Online Video presence. Each week, I interview an online video creator and chat with them about their strategies and journey as it relates to growing their YouTube channel. 130: AB Testing And How It Can Help You On YouTube In this week's episode, we have a guest host as Dusty and his wife are expecting their second child and are slightly busy :) Dan Currier is a great friend of Dusty and TubeBuddy. In this episode, he talks about AB testing and what it can do for your channel! To have your questions featured on one of the upcoming Q and A episodes, email me at dusty@dustyporter.com Try TubeBuddy Today Here For a full video tutorial on how to set up a Patreon Campaign go here. Check out our other podcast: Listen To The YouTube Creators Hub Podcast Here for great interviews each week with successful YouTube creators and strategies and tips they use to grow and monetize their video content on YouTube. TubeBuddy Express Giveaway Details: If you want to enter yourself in the giveaway for some TubBuddy swag don't forget to go on over to our iTunes Page for the podcast and leave us a review and then email us at tubebuddyshow@gmail.com Here is the equipment I recommend for Starting Out On YouTube On A Budget: Blue Yeti Microphone Logitech C920 Webcam OBS Streaming Software Listen To My Other Shows Here: YouTube Creators Hub — A podcast focused on helping you with your Online Video presence. Each week, I interview an online video creator and chat with them about their strategies and journey as it relates to growing their YouTube channel. 129: Channel Memberships And How To Use Them In this week's episode, I talk about the feeling of loneliness as a creator and how meeting up with other creators in your space can be SO beneficial! To have your questions featured on one of the upcoming Q and A episodes, email me at dusty@dustyporter.com Try TubeBuddy Today Here For a full video tutorial on how to set up a Patreon Campaign go here. Check out our other podcast: Listen To The YouTube Creators Hub Podcast Here for great interviews each week with successful YouTube creators and strategies and tips they use to grow and monetize their video content on YouTube. TubeBuddy Express Giveaway Details: If you want to enter yourself in the giveaway for some TubBuddy swag don't forget to go on over to our iTunes Page for the podcast and leave us a review and then email us at tubebuddyshow@gmail.com Here is the equipment I recommend for Starting Out On YouTube On A Budget: Blue Yeti Microphone Logitech C920 Webcam OBS Streaming Software Listen To My Other Shows Here: YouTube Creators Hub — A podcast focused on helping you with your Online Video presence. Each week, I interview an online video creator and chat with them about their strategies and journey as it relates to growing their YouTube channel.